Frequently, IT departments block certain types of network traffic which may prevent activation of Office Timeline. If you encounter activation issues, follow this simple manual activation process. 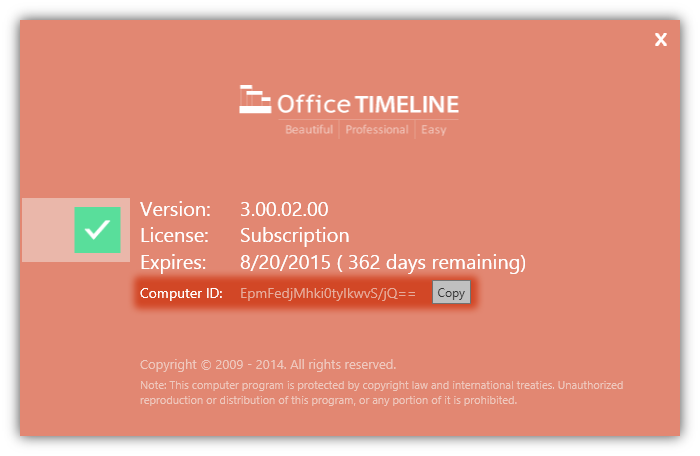 Submit your Product Key and Computer ID and we will provide you with an Offline Activation Key that you can use to activate Office Timeline without going through your network. Paste the original product key that was issued to you. Looking for your Computer ID? Scroll down to see instructions. 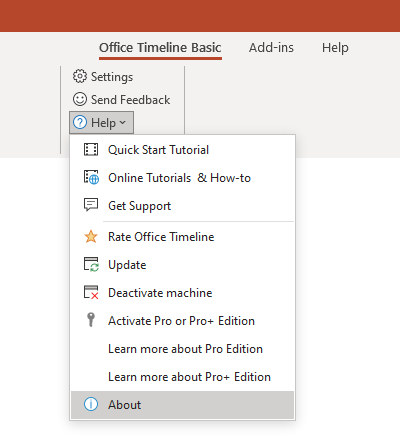 Click on the Help button in the Office Timeline ribbon then choose About. From the About dialog box, copy the Computer ID using the copy button (see example below). After you copy the ID you have to paste it in the Computer ID section above.